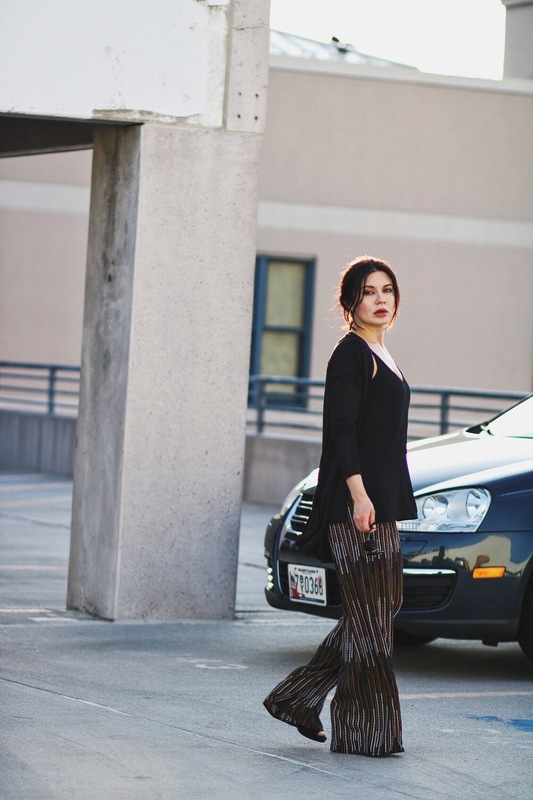 Today I’m styling a pair of flowy wide-leg pants as I believe them to be a great friend to petites. And that’s because this particular cut is very flattering and forgiving to most silhouettes and especially to petites if styled smartly. Keep in mind the general rule about proportions: pick a focus area for your volume and keep the rest more fitted. For example, try them with a more fittedor structured top or go with a silky blouse topped with a medium or longer length knit, like I did, and you’ll elongate and slim your frame. I hope you enjoyed this post and I’ll see you soon.